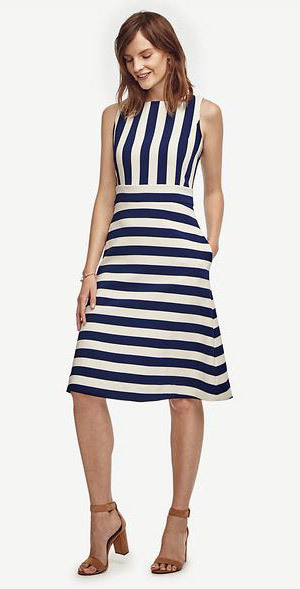 Ann Taylor has this striped dress on sale and I think it is a perfect dress for girls like us. The vertical stripes on top create the illusion of narrowing our wide shoulders and the horizontal stripes below create the illusion of widening our narrow hips. The lack of sleeves may be problematical for some girls, but if your arms are thinner than the average gurl, then this dress may be for you. Fred Armisen (right) in a 2009 episode of television's Saturday Night Live. Between SNL, Portlandia and other TV and film appearances, Fred has probably femulated more than any other current actor or comedian. 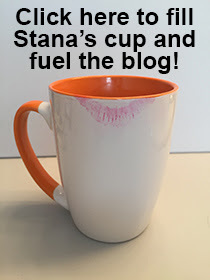 Thanks for continuing to post Missy!